What's more fun than an inflatable games? The PanGo inflatables brand features amazing designs and timeless themes, and our admirable quality assurance means they work great for both kids and adults. 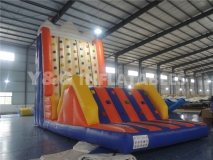 As the owner of a party rental or family entertainment center, you likely recognize the popularity of inflatables slide. 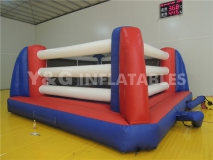 Are you also aware of the increasing popularity of inflatable games? inflatable games provide excellent return on investment, and can be used in backyards, inside indoor play centers, or outside at picnics, parties, corporate events and for team-building exercises! 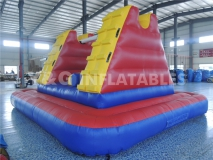 Our wide variety of inflatable games include many fun and challenging obstacles, with options available for just about any age. Available in multiple sizes and price points, our commercial inflatable games may be just what your business needs to take that next step. Look through our wide selection of unique inflatable games — wouldn't they look fantastic on your business card? We've helped countless customers set themselves apart from their competition. You don't have to settle for "just another" inflatable. The PanGo inflatables brand will help you attract new customers and keep your existing customers coming back for years to come!